The keyboard has a mini and fine appearance. 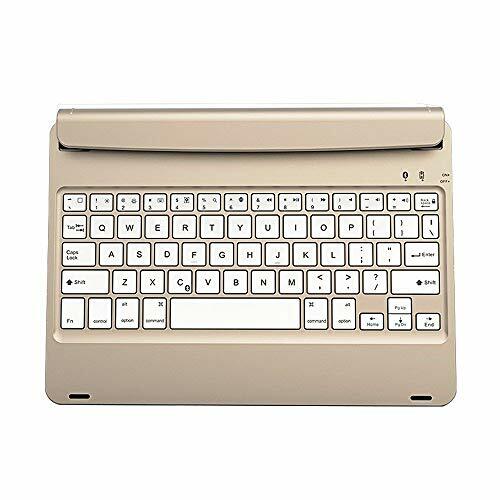 A high quality wireless bluetooth keyboard designed for smart phones and tablet PC. Floating chocolate keyboard structure promises a silenced operation of the keyboard. Give you a soft and smooth touch. The shining aluminum alloy back can give you a feeling of dignity, fashion and simplicity. Size: Approx.24 X 17.5X 2cm(L X W X H).